Port Angeles • Sequim Port Townsend • Discovery Bay Kingston • Edmonds • Greyhound Amtrak • Downtown Seattle Sea Tac Airport • Seattle Hospitals Olympic Bus Lines is an independent agent of Greyhound. You can now purchase your Greyhound tickets locally at your only nationwide reservation location on the Olympic Peninsula. board • Providing complimentary home-made chocolate chip cookies from “Cockadoodle Doughnuts” in Port Angeles. Vol. 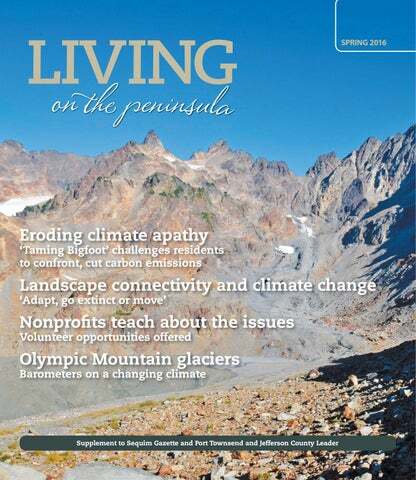 12, Number 1 • Living on the Peninsula is a quarterly publication. HARDWOOD • TILE • CARPET • LAMINATE • VINYL We do it all! Trane TruComfort™ Variable Speed heating and cooling systems maintain a consistent temperature with maximum efficiency by automatically making minor, continuous adjustments in output all aday long, all night long. IN face, these systems have been designed to meet the ENERGY STAR® Most Efficient criteria. TruComfort™ Systems deliver precise comfort by running at the the exact speed necessary to keep your home comfortable Very quiet operation of the TruComfort™ System, with low sound levels that are industry leading. When paired with Trace ComfortLink™ II, you can control home energy management from wherever you go vie your smart phone or mobile device. See your independent Trane dealer for complete program eligibility, dates, details and restrictions. Special financing offers valid on qualifying equipment only. All sales must be to homeowners in the United States. Void where prohibited. The Home Projects® Visa® credit card is issued by Wells Fargo Financial National Bank, an Equal Housing Lender. Special terms apply to qualifying purchases charged with approved credit at participating merchants. Regular monthly payments are required during the promotional (special terms) period. Interest will be charged to your account from the purchase date at the APR for Purchases if the purchase balance is not paid in full within the promotional period. For newly opened accounts, the regular APR is 27.99%. The APR will vary with the market based on the U.S. Prime Rate. The regular APR is given as of 01/01/2016. If you are charged interest in any billing cycle, the minimum interest charge will be $1.00. If you use the card for cash advances, the cash advance fee is 5.0% of the amount of the cash advance, but not less than $10.00. Offer expires 3/15/2016. At Olympic Hearing Center, our mission is to help all of our patients achieve healthy hearing. Allow us to guide you through this most personal of decisions. Many forms of hearing loss are subtle and may only involve difficulty hearing in certain situations, such as dining out in a restaurant or cafe. We’re here to provide diagnostics and hearing health treatment for all patients, especially those age 55 and older. When it comes to your hearing, you want to know that you’re in the hands of the most highly qualified, best equipped audiology professionals on the peninsula. Let us be your hearing partner! Assisted Living programs available. Call and make an appointment for your complimentary hearing screening with our Audiologist today! Call Today for a Complimentary Lunch & Tour! The Spit The trek to the New Dungeness Light Station is an 11-mile round trip, but it’s worth the journey. Dungeness Spit Factoids > Length: 5.5 miles > Land area: 0.5 square miles > Home to: New Dungeness Lighthouse > Located in: Dungeness National Wildlife Refuge > Named after: New Dungeness, via British explorer George Vancouver > More info: hwww.fws.gov/refuge/dungeness trip by foot to the New Dungeness Light Station. The trail gets steep abruptly and then levels out at the spit itself. To the southwest, a little less than a mile of beach is open for hikers, wildlife watchers and, by reservation, horseback riders. In waters rough or calm, a popular kayaking adventure is heading out to (or near) the New Dungeness Light Station. sun-bleached logs and have staring contests with one’s seagull hosts. Not a bad day to spend a couple of hours. And here, right in our backyard! Michael Dashiell is editor of the Sequim Gazette. He talks a pretty good game about hiking but spends way too much time at his desk. Reach him at editor@sequimgazette.com. • Victorian Heritage Festival, Port Townsend, March 18-20, victorian society-northwest.org. • Old Time Fiddlers Jam, Tri-Area Community Center, Chimacum, March 26. SEQUIM & DUNGENESS VALLEY • Wednesday Morning Bird Walks, Railroad Bridge Park. • Old Time Fiddlers Jam, Sequim Prairie Grange, Macleay Hall, March 12. • Soroptimist Gala Garden Show, Boys & Girls Club, March 19-20. PORT ANGELES • Farmers Market, The Gateway, Saturday mornings. • Port Angeles Symphony Orchestra, Port Angeles High School auditorium, March 12. • Clallam County Home and Lifestyle Show, Port Angeles High School, March 12-13. • Second Weekend Art Event, downtown. WEST END • Quillayute Scholarship Auction, Forks High School, March 19-20.
downtown. • Port Angeles Symphony Orchestra, Port Angeles High School auditorium, April 16. • Free admission day, Olympic National Park, April 18-19. • “Noises Off,” Port Angeles Community Players, April 29-May 15. WEST END • RainFest, multiple venues, April 15-17. • Fabric of the Forest Quilt Show, April 15-17. Orchestra, Sequim Worship Center, May 14. • Old Time Fiddlers Jam, Sequim Prairie Grange, Macleay Hall, May 14. • Sequim Irrigation Festival Grand Parade, May 14. PORT ANGELES • Port Angeles Farmers Market, The Gateway, Saturday mornings. • Second Weekend Art Event, downtown. • Port Angeles Symphony Chamber Orchestra, Holy Trinity Lutheran Church, May 15. • Juan de Fuca Festival of the Arts, multiple venues, May 27-30, jffa.org. • North Olympic Mustang Annual Show, May 7-8. Cruise at 11 a.m. Saturday from Price Ford; registration 9 a.m. Sunday at Gateway Center. WEST END • Annual Kids Fishing Derby, Bogachiel Rearing Pond, May 8. • Forks Logging and Mill Tour, Forks Chamber of Commerce, starts May 25, Wednesdays through Sept. 8. For additional calendar of event information, visit Peninsula Daily News at peninsuladailynews.com, Sequim Gazette at sequimgazette.com and Forks Forum at forksforum.com. the earth, but the ocean is part of the environment, too,” said Alison Riley, marketing and development coordinator. The Go Blue Initiative is about raising awareness and “inspiring collective action to improve the health of the Salish Sea.” A winter lecture series has brought in professors and educators to talk about the future of oceans, technology and emerging research that scientists are using to learn about orcas, eelgrass restoration and the depths of the ocean. Cost of individual lectures is $5 for members, $10 for nonmembers. The last lecture is set for Sunday, April 10. Professor John Barross of the University of Washington is scheduled to talk about “Life in Extreme Ocean Environments.” See ptmsc.org for details. “All of those lectures circle around climate change and human impact on the ocean, diving deeper into what’s happening,” Riley said of the lectures. A new “Go Blue” exhibit aims to help people become ocean literate and be as comfortable talking about plankton as about plastics. Volunteers who can speak the language of the ocean are needed to help guide people through exhibits. the upcoming planting season. The coho salmon survey of Chimacum Creek involves walking the creek during the coho salmon run each fall, counting live and dead fish, and taking scale samples. Being a survey volunteer entails a commitment of from three to four hours per week, starting with the training and lasting through the end of the year. The coalition supplies all the necessary gear and survey equipment. No prior experience is needed, just a willingness to support the NOSC’s mission to protect wild salmon and their habitat. Volunteers must be physically able to hike through the woods in somewhat challenging conditions. Learn more about volunteer opportunities at nosc.org. NORTHWEST WATERSHED INSTITUTE The Northwest Watershed Institute is busy with annual projects at the Tarboo Wildlife Preserve, near Dabob Bay, and along Hood Canal. Each February, more than 150 adults, teenagers and schoolchildren participate in the Plant-A-Thon. The Plant-A-Thon is an education and outreach effort coordinated by NWI as part of the Tarboo Watershed Program, a long-term effort involving 40 organizational partners to protect and restore salmon and wildlife habitat from headwaters to bay in the Tarboo-Dabob watershed. Since 2004, more than 2,000 acres have been preserved and more than 600 acres have been re-meandered, replanted and restored. Innovative planting methods used successfully in 2014 were expanded in 2015, said Jude Rubin, NWI director of stewardship. The methods include live-staking willows through cardboard to shade out the invasive reed canary grass. Rubin said another technique being used is based on the natural example of conifers growing on nurse logs in wetland forests. Volunteers planted spruce and cedar in hollow log rounds and constructed planter boxes to establish trees above the wet soils. NWI is a 501(c)(3) nonprofit corporation founded in 2001. NWI’s mission is to provide scientific and technical support to protect and restore fish and wildlife habitats and watershed ecosystems of the Pacific Northwest. Learn more by contacting Rubin at 385-5358 or jude@nwwatershed.org. Allison Arthur is a reporter with the Jefferson County & Port Townsend Leader. “I think people will see that transportation is a huge sector in Taming Bigfoot.” Bob Bindschadler Local 20/20 Climate Action Outreach Group without pressure from people, without engaging the grassroots. “That’s really where the power lies,” he said. Apathy, however, remains the greatest challenge to leveraging that power, he said. “One of the ways we react when we don’t know what to do, when we feel paralyzed and helpless, is we disconnect,” said Laura Tucker, a Port Townsend resident who has spent much of her adult life educating both teachers and students about climate change. ‘TAMING BIGFOOT’ Tucker, Bindschadler and six others have taken it upon themselves to fight that apathy. They make up East Jefferson County’s Local 20/20 Climate Action Outreach Group, which this year launched a carbon footprint reduction competition, dubbed “Taming Bigfoot,” aimed at engaging the community and empowering people to confront their own carbon consumption. Port Townsend A hidden paradise, right here on the peninsula! COLO BOOK FRING AB IS HERE RIC ! We’ve got the area’s largest LOGOTYPE shoe selection ... for everyone in the family! Selected styles reduced up to 40%! The logo and tagline lock-up should not be altered in any way and should always be reproduced from an approved electronic file. The tagline typeface is Oldstlye. ALTERNATE VERSIONS The versions shown below should only be used when appropriate. Sign Up for our Local Rewards Program! Over 12,000 acres of Jefferson County farms, forests, and wildlife habitat are protected and stewarded thanks to community support for Jefferson Land Trust’s local land conservation. “Crazy ’bout Fresh!” Local Seafood, Natural Meats, and Free Range Poultry. There’s a story behind every smile... We’d like to be a part of yours! ur commitment to loving, thoughtful care and our reputation of excellence is implemented daily in our specialized memory care community. Our small, 32-resident community provides our residents with a home-like setting and the freedom of movement and choice, receiving individual attention in a warm and caring atmosphere. Our success is measured by the smiles and appreciation of our residents and their families. Drop in for a tour and a meal, and we’ll answer all the questions you have. We know that choosing the right memory care community is an important and sometimes difficult decision and we’re here to help in any way we can. During a kick-off event at the Cotton Building in downtown Port Townsend, Bob Bindschadler, a member of Jefferson County’s Local 20/20 Climate Action Outreach Group, explains Jan. 11 how participants in the Taming Bigfoot competition can analyze by category their carbon consumption as they track it through Earth Day. transportation is a huge sector in Taming Bigfoot. The pressure then to improve public transit is going to increase, I expect, and it would be from a more informed basis. People will have much more confidence.” OVERCOME APATHY Outreach group member David Wilkinson said it’s easy for any one person to feel discouraged or overwhelmed in the face of a global phenomenon like climate change. Much like voter apathy, that kind of thinking is unproductive, he said. “Anything you do is going to help, and we have a lot to do,” he said. “Now, if I don’t do something, you’ve got to do twice as much, so everything we do matters.” Tucker said individual Americans, whether driving less or pushing for policy changes, have a greater potential to cut carbon emissions relative to people in many other countries, especially non-industrialized ones. “Our carbon footprint per capita now is 17 tons per year, down from 19.1 in 2006,” said Tucker, who attended the United Nations Climate Change Conference in Paris in December 2015. “But France is 5.2 and Great Britain is 7 and Germany is 8, so we’re still double them and they have a pretty nice life. Laura Tucker, a member of Jefferson County’s Local 20/20 Climate Action Outreach Group, addresses participants in the Taming Bigfoot competition Jan. 11 during a kick-off event at the Cotton Building in downtown Port Townsend. The outreach I do to kids is because we’re No. 1 and anything we do makes a bigger difference than say somebody in Zambia who is 0.2 tons versus our 17. Zambians can reduce their carbon footprint by half and you wouldn’t even notice it.” The competition’s organizers agreed that, for many, apathy arises from the notion that the goal of reducing carbon emissions is ultimately to stop climate change. “It’s not possible,” said Julia Cochrane, a member of the outreach group. “We can lessen our impact and we can lessen the amount of insanity that’s going to happen, but there is no way my grandchildren are going to see live lions and tigers and bears in nature, period — or giraffes or elephants, but maybe they’ll be able to see a monkey.” Wilkinson said while reducing emissions is key to mitigating the effects of climate change, people also must learn to adapt to anticipated changes. “We’re doing two things,” he said. “One is we’re doing outreach to get people to generate fewer greenhouse gases; but the other thing we’re trying to do is give people the tools to protect themselves, to survive it. It’s like, get prepared, or suffer.” OLYMPIC PENINSULA Tucker said in many ways people on the Olympic Peninsula are ahead of the curve. For example, cultural and political support of local agriculture promotes food security, she said. “It’s going to boil down to food, water and shelter, ultimately,” Tucker said. “I wouldn’t say that we’re better prepared than maybe a lot of communities, but we’re better prepared than a good number.” In February, the North Olympic Peninsula Resource Conservation & Development Council released a report projecting climate change impacts to the North Olympic Peninsula. The report took more than a year to produce and included more than 175 representatives of local governments, utility service providers, nonprofits, academic institutions and private businesses. “Everyone gets it,” said Wilkinson, who participated in a series of workshops to prepare the report. “Everyone knows it. There’s no dissension among all of those people that are actually managing all of our infrastructure.” The report not only assesses the region’s vulnerability to climate change, it offers ideas for adapting. More than 60 people gathered Jan. 11 at the Cotton Building in downtown Port Townsend to kick off the Taming Bigfoot carbon reduction competition, which runs through Earth Day. Here, Jefferson County commissioner Kathleen Kler, who is participating in the competition, addresses fellow participants. Some 16 teams of eight are tracking their individual carbon emissions in five categories as part of the competition, created by Jefferson County’s Local 20/20 Climate Action Outreach Group. 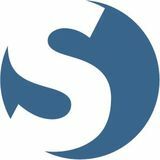 on the policy level, but there is that day-to-day, more tangible level where we may get more traction.” Cochrane said the competition aims to cast a wide net, touching even those who aren’t participating directly. “To become more aware and make every decision consciously is a step forward,” she said. “Whether or not that one bag less of garbage a week makes a difference in the big scheme of things, if that person is awake, they’re making a difference in a thousand ways.” While presenting the results of the council’s report to the Jefferson County Chamber of Commerce, director Kate Dean, who also is participating in the outreach group’s competition, said the peninsula can expect to see an increase in climate migrants due to the region’s relatively temperate, Pacific Oceancooled climate. Wilkinson said not only does Port Townsend in particular have an opportunity to prepare itself, it’s well positioned to influence tourists visiting from around the world. “This tiny community has a massive outreach opportunity,” he said. “Thousands and thousands of people come through here and then they come back. Many of us watched Port Townsend before we could come and participate. You can see that Port Townsend has adopted these goals because it’s trying to take care of itself and also because it’s trying to survive. We can really help ourselves by being a good example to all those people coming through.” Nicholas Johnson is a reporter at the Jefferson County & Port Townsend Leader. Senior Night 4pm-Close Tues. & Thurs. Whether you come to see me due to an injury or in need of relaxation, Pranic Healing can reduce physical pain, tension, and stress. It can help with accelerated healing of the physical body, MA 60305958 while enhancing your massage experience. Pranic Psychotherapy® is the application of Pranic Healing® techniques to healing & Chair Massage At Bliss Salon Co & Apparel alleviating emotional & mental imbalances such as stress, anxiety, 207 West 1st St. Port Angeles trauma, physical & emotional depression. Join the KSQM Family Home of the Best Music Ever Made! 1936 Comparison photographs show the dramatic retreat of Anderson Glacier, located in a cirque south of Mount Anderson in the Olympic Mountains and Olympic National Park. direct sun and greater melting. The Olympics had 266 glaciers in 1984 and had 184 by 2009.” The remaining Olympic Mountain glaciers still feed the following watersheds: Big Quilcene, Dosewallips, Duckabush, Dungeness, Elwha, Hamma Hamma, Hoh, Queets, Quinalt and Skokomish. A STUDY OF TWO VALLEY GLACIERS Since the last study of Olympic glaciers in 2010, the scientists of the North Coast and Cascades Network wanted to look more closely at the difference in glacier change in the Olympics, where they are receding faster when compared to other Northwest mountain ranges. “That opportunity arrived two years ago with a grant from the Washington National Park Fund,” Baccus said. “Individual and corporate donations through the Fund support a huge number of projects in the park, including (glacier) mass studies. In April, when the snowpack is typically the deepest, we measure the snowpack and how much water is held in the snow (density). Inset: Scientist Bill Baccus Left: Sharon Brady is a scientist with the National Park Service. She uses a steam drill to create a hole in through the winter snowpack and past layers of ice on the surface of the Eel Glacier. Once the hole is created, the team inserts a 35-foot “ablation stake,” which has markings in tenths of feet. When team members return to the glacier at the end of the summer melt season, the amount the stake is extending from the snow and ice, indicates how much snow melted and/or how much snow remains to be turned into future layers of ice. produce and all is gluten-free. Some produce is grown in our own gardens and other ingredients are sourced as locally as we can. Our menu changes seasonally; while daily specials depend on the weather, which affects the farmers and the fishermen. Nourish’s focus is on nurturing our community and economy; showcasing local food artisans and farmers, as well as musicians and artists, also training youth in the kitchen and dining room; aiming to provide them with career and life skills. We strive to run a sustainable business by: sending waste food to local pigs or to our garden compost, building our own furniture and fixtures using recycled materials, recycling all our bottles, paper and plastic, reusing cloth hand towels and napkins to reduce waste. baking powder and then mix in carrots and sugar. Pour the mix into prepared pan, put on a baking sheet and place in pre-warmed oven until ready – about 35-40 minutes. Let cake cool, remove from pan. When we serve this dessert we like to add a little fresh whipped cream on top with a little sprinkle of grated carrot … in season we add a carrot top to our wedge of cake for a cute carrot look! Above: Randa Wintermute, who plays flute with the Sequim Community Orchestra and works with students in the strings program, shows Zoe Moore a little about flute-playing at the family concert in February 2015. Photo courtesy of Sequim Community Orchestra. Right: Lilias Green is the founder of Sequim Community Orchestra. a year. These concerts feature performances by the youth strings group, as well, a treat for their parents and the audience. Other than entertaining the community, the orchestra also is committed to supporting a string education program for students in the Sequim area schools (see accompanying story, “For the Love of Music”). A good number of SCO members volunteer as teachers and helpers for the strings program. > Sequim Community Orchestra, youth strings program. > Helen Haller Elementary School. > Open to all Sequim School District students. >Greywolf students will be transported by school bus to Helen Haller. > No fees, instruction by qualified music educators provided by the SCO. > Parents are responsible for providing instruments and music books; however, some scholarships are available. > Rehearsals for the Sequim Community Orchestra are from 7 p.m. to 9 p.m. Tuesdays at the James Center for Performing Arts in Sequim. > For further information visit www.sequim communityorchestra.org, email info@ sequimcommunityorchestra or phone 360-681-5469. We are leading providers of long-term skilled nursing care and short-term rehabilitation solutions, located right here in your community. With our full continuum of services, we offer care focused around each individual in today’s ever-changing healthcare environment. For more information or to schedule a tour, please call or visit us today! save energy appliances Jefferson PUD is currently offering rebates on Energy Star certified home appliances; specifically clothes washers, refrigerators, freezers and now clothes driers. Please see the form online for details on how to file for a rebate including how to determine if your appliance is listed as Energy Star compliant. heating We also offer rebates on ducted and ductless heat pump upgrades, lighting, weatherization for residential and commercial properties if the projects qualify and funding is available. Eligibility for projects are dependent upon criteria determined by Bonneville Power Administration and the PUD. windows Two primary conditions need to be met in order to qualify for a Jefferson PUD energy efficiency rebate: 1) You must be a Jefferson PUD electricity customer. 2) For home heating-related upgrades such as insulation, heat pumps, windows and the like, the primary source of heat for your home must be electric. Other restrictions may apply. Go to jeffpud.org/energy-efficiency for details and rebate forms. PILATES CLASS Want greater strength and flexibility to perform your daily life activities? A Pilates professional can help with weak, tight muscles and rebalance muscle groups. Stiffness, pain and loss of joint range of motion can be related to your habitual static and repetitive postures. Overuse, sustained contractions, and exhaustion of muscle fibers can cause more pain. Pilates instructors understand anatomy and can help you live your life to the fullest. Transform the way your body looks, feels and performs without excessive bulk. Learn proper breathing techniques and retrain your body to move more efficiently. Join Lynda G. Williamson and the Pilates movement and enhance your performance. Ask about MELT Soft Roller and Hand & Foot Classes and Workshops! for the students. In the fall of 2013, she started an after school strings class, which attracted 23 students. The program was first held at Greywolf Elementary School, but has now moved to Helen Haller. Students in the beginning and intermediate classes are bused from Greywolf to Helen Haller for classes. While separate from the orchestra, the strings program is like the orchestra’s little sister (or brother). Several orchestra members volunteer to teach or help during classes. Twice a year, the SCO performs a family concert, during which the strings students perform a concert of their own. While the orchestra is funded by member dues, the strings program is funded entirely by donations, with facilities provided by the Sequim School District. In late 2014, the program received a $4,000 grant from the Charlotte Y. Martin Foundation. The SCO board and community members have donated about $2,000 to support the classes for this year. The classes are free for students, a godsend for parents, many whom have told Green that had the the classes not been free, their children would not have been able to participate, Green relates. And of course, violins, violas and cellos are not inexpensive. Community members and SCO members have donated instruments and there is a rental shop in Port Angeles. However, Green adds, “we need more half-size and quarter-size instruments.” Nine-and 10-yearold fingers and hands cannot manipulate the full-size violins well enough to enable learning. an adult, most weren’t sure. Over in the beginner’s class, 9-year-old Kathryn Folstrom said she would be a writer and a musician when she grew up, while Kika Oldham, 10, said she would play basketball or volleyball. Both play violin — for now. A short walk to the middle school finds the third-year group, now narrowed down to six students. These 11- and 12-yearolds, mentored by Morgan-Ellis, are learning more advanced methods and more attuned to their instruments (pun intended). When I asked cellist Henry Hughes, 12, if he knows who Yo Yo Ma is, he did. I was impressed. Beginning and intermediate students — not in their realm of academia quite yet. By the time the students reach middle school, there are many more activities that draw them away from orchestra, says Morgan-Ellis. Green agrees, reiterating string classes during the regular school day would “greatly improve retention.” The good news — many promising musicians return to their instruments once the teen years are behind them. And who knows? We may be looking right now at a future Itzak Perlman, Andre Rieu, Jascha Heifetz, or Hilary Hahn, a 36-year-old virtuoso who often performs with the Seattle Symphony. Or, of course, Yo Yo Ma, for our young cellists. Unless you are young Gabe Jensen, a 10-year-old cellist in the beginning class. When asked why he chose to play cello, he said he was inspired by The Piano Guys. I confess, I had to look on YouTube to check them out, wondering why a cello player would care about piano players. Turns out, this group consists of two fantastic cellists, a wild piano player, and a percussionist, who produce classical crossovers, a mash-up of popular and classical songs. A rock meets Rachmaninoff sort of approach, if you will. A great inspiration for the younger set, and terrific entertainment for the older set, me included. Gabe gets it. Move over, Yo Yo. CLIMATE CHANGE OVERVIEW “Our communities, our societies premise in a lot of ways on this idea that long-term climate is essentially stable and that we can have perturbations around a mean or an average condition, but they happen within this known range and we can plan for them,” Miller said. “Well, the idea of climate change is that assumption may no longer be valid and that we’re working in a situation where we have changing mean conditions.” The physical properties of carbon dioxide, a naturally occurring gas vital for life on earth, along with the addition of other greenhouse gases, has a large role in anthropogenic (human) influences of the climate. Since at least the 1800s scientists have studied carbon dioxide and its ability to absorb heat energy. By 1864, scientist Svante Arrhenius “connected the dots” between the burning of fossil fuels during the Industrial Revolution and the ability of atmospheric carbon dioxide to retain heat energy, Miller said. The science and fundamental forces driving climate change may be well-known, but the “big uncertainty of climate change is how we evolve in the future,” he said. “As we look forward and try to know what the future may be like, we have to use difference scenarios, or ‘potential stories.’” The stories are created through modeling, which consider a variety of assumptions, like the amount of greenhouse gases entering the atmosphere, technology and fossil fuel supplies, Cindy Jayne, NOPRC&D project manager, said. Those stories are then used to help communities plan and predict climate change impacts. The NORTH OLYMPIC HEALTHCARE NETWORK, a federally qualified community health center, provides high-quality, full-spectrum Primary Care, Behavioral Health, and Oral Health services to meet the needs of North Olympic Peninsula. NOHN provides safe, effective, patient-centered, continuously measured and improved health care to every patient regardless of age, gender, race, creed, national origin, insurance status or ability to pay. For information about our services or on how to become a patient please call 360 452-7891.
include things like crop yields, pollen production and movement of people, Miller said. “More and more we’re seeing this idea that people might be looking at the Northwest as a very attractive place to move to as other parts of the nation become less attractive,” he said. “That could have negative consequences due to development, but potentially a lot of economic positives.” VULNERABILITIES Last summer, “We saw issues with (river) flows, drop in soil moisture and increase in temperature, and you can’t of course blame the last summer specifically on climate change,” Jayne said. “But, the kinds of things we saw are consistent with the projections.” By collaborating with the broad group of local stakeholders, NOPRC&D officials and project partners were able to identify the areas most sensitive to climate change via a vulnerability assessment. “Take the changes in snowpack, for example,” Jayne said. “Well, we know which of our water systems are dependent on snowpack and which aren’t so we knew there was a vulnerability there, so that was flagged as a high vulnerability area.” The “key focus areas” targeted as vulnerable under the plan are ecosystems, water supplies and critical infrastructure. In determining the vulnerabilities, the project partners took into account what resources are available to respond and where energy already is being spent. “We didn’t want to focus on areas that were already being taken care of,” Jayne said. “For instance, the state already has a Blue Ribbon Panel looking at ocean acidification.” Under ecosystems, the plan narrows its focus on the nearshore environment, watersheds, agriculture and forestry. “Agriculture is interesting because it’s one of those areas where there’s a little bit of a mix,” Jayne said. “Plants like C02 so the little more C02 in the air is actually good for plants.” Whereas, the “water supply issue is a potential concern,” she said. “If we don’t have enough water for agriculture, that can drive the negative (impacts), but having a longer growing season is an opportunity.” Under water supplies, the plan addresses surface water and groundwater supplies, water quantity and availability. “Key exposures to climate change in our water supplies are things like lower stream flows for extended periods, particularly during the summer due to change in snowfall or change in intense and extreme precipitation events, causing flooding,” Jayne said. “Groundwater supplies, salinization of coastal ground water tables, increased water demand for agriculture with longer growing seasons and increased wildfires.” When exploring critical infrastructure, the plan addresses potential impacts to downtowns, ports, coastlines, floodplains, stormwater, sewer and septic systems. RESPONSE Having identified the exposures, “the next piece was determining what our ability for response is and what do we do about it,” Jayne said. To help illuminate the likely future and thus guide steps toward community resilience to climate change, the plan provides strategies for adapting to the potential impacts. Through workshops and seemingly countless hours of deliberation, the project partners came up with a variety of strategies for adaptation and prioritized each by assigning a 1-20 score based on “timeframe, flexibility, technical, social and political feasibility and alignment with community goals,” Jayne said, with 20 being the most critical. “We have about 30 strategies for each of the three (ecosystem, water supplies and critical infrastructure) focus areas,” she said. Each strategy is then broken down by score, type, timeframe of implementation, lead group or groups, opportunities or concerns and focus area co-benefits. For example, for critical infrastructure, a strategy to “update emergency management and response planning to include climate change where needed” has a score of 20; type of strategy is “planning,” timeframe of implementation is “near term,” lead groups are “emergency managers,” opportunities or concerns include “highly adaptive with very good political support for this strategy” and no co-benefits are listed. The strategies encompassed a wide range ways of to adapt to climate change, from education and policy to planning. “The plan is a great starting point, but it doesn’t make us any more resilient to climate change,” Jayne said. Recognizing the plan is intended to be a tool, both Jayne and Miller emphasis the importance of “engagement.” “Preparing for the impacts of a changing climate and building resilience is a process and not an outcome,” according to the plan. “By participating in the development of this preparedness plan, appendices and supplementary information, all of the partners involved have initiated this resilience building process.” The focus of the plan is on adaptation, with a planning emphasis and not on mitigation, but the mitigation side is equally important, Jayne said. Although “the project wasn’t about reducing carbon dioxide in communities,” Miller said. “Still, that might be an outcome of some of the activities associated with the project.” Going beyond public education and continuing to encourage engagement at all levels, NOPRC&D officials and project partners expect to build on the project and monitor the progress toward achieving the adaptation strategies, as well as pursue funding to support this continued effort. See the full climate change report, appendices, including all strategies and supplemental information, at noprcd.org. Or call 360-301-1750 for more information. Alana Linderoth is a reporter at the Sequim Gazette. The link between landscape and climate change Story and photos by Christi Baron As the Earth’s temperatures rise, what will the effect be on all living things? Most humans can move to escape, but for other species, will there be changes in migration? Will species seen in a specific area for centuries not be seen in that area in the future? Can man facilitate the movement of bugs and animals through connecting green spaces — and finally, will the banana slug survive? On Jan. 29, at the Olympic Natural Resources Center in Forks, Caitlin Littlefield presented preliminary findings from her research that addressed some of these questions. Littlefield is a doctoral student in Dr. Joshua Lawler’s Conservation Biology and Landscape Ecology Lab within the University of Washington’s School of Environmental and Forest Sciences. She is interested in tree species range dynamics and populations’ persistence under climate change, particularly in mountainous environments. After attending Middlebury College in Vermont, Littlefield received her master’s degree at the University of Vermont, researching the structural and carbon impacts of forest bioenergy harvesting. She then served on a Rainforest Alliance field verification team for forest carbon projects and taught in various capacities before moving to Seattle. analogous or comparable climates to trace routes through space that track current climate conditions to their future locations in western North America. Using connectivity tools based on electrical circuit theory, she’s evaluated the accessibility of these climate “destinations” in light of landscape intactness — or how much humans have modified the natural environment. These connectivity analyses highlight potential barriers to and, conversely, pinchpoints in species’ movements for tracking suitable climate into the future. Littlefield’s Caitlin Littlefield results identify potential climate refugia (an area in which a population of organisms (trees) may help facilitate species’ movement to a new can survive through a period of unfavorable suitable climate. Assisted migration also is a conditions); and critical areas for movement in hot but controversial topic. western North America to ensure that suitable Although Littlefield’s findings are preliminary climates in the future are within reach for a they give much food for thought. She reminded range of terrestrial plants and animals. the audience that there were once the ancesLittlefield’s research looked at what species tors of alligators and palm trees in the Arctic. are most vulnerable. How things are situated ONRC provides scientific information to adcan affect the flow of species; landscapes can dress critical issues and solve problems concernfacilitate or impede species’ access to food ing forestry and marine sciences in the region. It sources. Things like wildlife habitat corridors serves as a catalyst for interdisciplinary and colcan work like stepping stones to get wildlife to laborative work, bringing together expertise from suitable climate habitat, she explained. forest resources and ocean and fishery sciences. Littlefield looked at vulnerability of species to By integrating research with education and warmer temperatures. Some species can hanoutreach, it unites researchers, students, prodle 78 degrees, some can’t — and in the future fessionals and the public. heat sensitive species may no longer exist — it Evening Talks at ONRC is funded through the Courtesy of Caitlin Littlefield will depend on their adaptive capacities. Some Rosmond Forestry Education Fund, an endowCaitlin Littlefield works in the field. species with long reproductive cycles may not ment that honors the contributions of Fred survive well with climate change. Evolution Rosmond and his family to forestry and the Forks community. adaption is not an option for many species, Littlefield said. The Olympic Natural Resources Center is honoring the lifelong work of Warmer temperatures also bring more potential for increased wildfires, Fred Rosmond with the creation of an endowed fund to support educational also leaving many species more vulnerable. programs in forestry to local communities. The programs will emphasize sil“What are the options?” Littlefield asked. “Adapt, go extinct or move.” viculture — the art and science of growing trees — with attention to human Recent bird counts show many birds are showing up 35-100 miles farther needs and objectives. north than they have been seen in the past. Landscape resistance can be modified by humans — removing barriers and providing wildlife corridors Christi Baron is the editor of the Forks Forum. Port Townsend Boat Haven in the late 1950s. Kah Tai Lagoon originally was connected to the bay, which changed by 1931 when the boat basin was constructed. For many years, the large building across the street was the DeLeo Brothers Building Supply; it was removed in 1990, and the Harborside Inn was built. The Port Townsend Safeway is today located in the upper left of this photo. The Port Townsend Boat Haven offers moorage, storage and is a center for marine trades of all types. The boat haven was expanded to this size in 1964. The City of Port Townsend created Kah Tai Lagoon Nature Park on fill material pumped across the highway when the boat basin was enlarged. French Cuisine never gets old ... it only gets better! To advertise in Clallam County, call 360-683-3311. In Jefferson County, call 360-385-2900. In Port Townsend’s pioneer settlement days, Kah Tai Lagoon was a broad salt marsh that connected to Port Townsend Bay. In 1891, the first of two bridges was built across the lagoon. The bridges, built with beach logs, were mostly unusable by 1910. Railroad work also was progressing during the boom period of the early 1890s and that included partial filling of the lagoon nearest the bay, with some of the area to be taken up by the proposed railroad terminus facilities. By 1930, Sims Way — the new main road in and out of town — was extended across the Kah Tai “flats,” which removed tidal influence on the lagoon. The highway was more of a causeway, with water on both sides. The Port of Port Townsend, in 1931-1932, had a boat basin built at the end of what is Benedict Street and there was more in-fill added between Sims Way and the bay. In 1964, the boat haven was expanded. An estimated 349,000 cubic yards of material were dredged and dumped into the lagoon in the project, more than tripling the size of the present boat haven while reducing the lagoon’s size. The boat haven expansion was necessary, but many people did not like what was happening to the lagoon. By the end of 1964, 8 acres of sand covered the lagoon’s southern area. In 1969, the port proposed a commercial development on port-owned property along Sims Way. It was the first of several such commercial proposals. In the late 1970s, approval was given to allow Safeway to build a 40,000-square-foot grocery on fill that had been the lagoon’s southern end. After much opposition, including a legal challenge heard by the state Supreme Court, the store was approved. The new Safeway opened in 1981. Public sentiment still favored some preservation of the lagoon, and in 1985, the city dedicated Kah Tai Nature Lagoon Park. Meanwhile, the port’s industrial buildings gradually expanded along the shoreline, although several studies about expanding the boat haven were never carried out. the circle, accepts the unexpected, acknowledges obligations and seeks harmony, balance and equilibrium.” Diverse oneness dancing upon Gaia. All of those with ancient earth wisdom who came before remind to us to be aware and to care. All of those present in the world now invite us to shift from a consciousness of dominion into one of being entrusted with nature. All of those yet to come are calling us to create a world that will be not only safe and honored but also beautiful and celebrated. For Gaia is home to all of us. We must unite across time and space to heal the Sacred Hoop of Life now. As we go forth to care for our planet, its life forms and all of humanity, let us take inspiration from another of Black Elk’s visions. For this is what is possible for us all … “And I was seeing in a sacred manner the shapes of all things in Spirit, and the shape of all shapes as they must live together like one being. And I saw that the sacred hoop of my people was one of the many hoops that made one circle, wide as daylight and as starlight, and in the center there grew one mighty flowering tree to shelter all the children of one mother and one father. And I saw that it was holy.” The Rev. Pam Douglas-Smith is the minister at the Unity Spiritual Enrichment Center in Port Townsend who leads international spiritual pilgrimages. Contact her at revpam@unitypt.org. We are leading providers of long-term skilled nursing care and shortterm rehabilitation solutions, located right here in your community. With our full continuum of services, we offer care focused around each individual in today’s ever-changing healthcare environment. Stay close for your close up. Advanced diagnostic imaging, right here at home. To schedule: 360-385-2200, ext. 2100.
spend more time taking new trails, not the ferry. When you have serious health concerns, you shouldn’t have to travel to get answers. means peace of mind for you.